The Festival of Dangerous Ideas (FODI) is an annual event presented by the Sydney Opera House as part of the 'Ideas at the House' program. Over a weekend, leading thinkers, scientists and cultural figures from all over the world, take to the stage to bring contentious ideas to the fore and challenge mainstream thought and opinion. St James Ethics Centre are the co-curators and co-presenters of the Festival of Dangerous Ideas, but this was a little-known fact to many festival-goers. 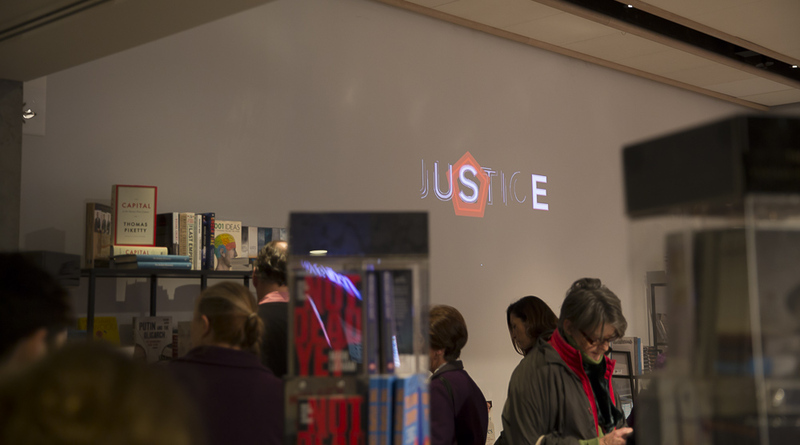 In 2014, the St James Ethics Centre came to us to help them make a lasting impression through an activation and animation reel at the festival. Having attended the Festival of Dangerous Ideas in the past, we knew that it can be a struggle (but worth it) to get out of bed on a cold Sydney morning and and head down to the Opera House. Your brain buzzes the whole weekend and we wanted to enhance that feeling of having a weekend to immerse yourself entirely in ideas. There are also long breaks between sessions, so when you're seeing more than one talk - which people often - you're often at a bit of a loose end. We wanted to create a space where FODI crowds could relax, get comfortable, have a morning coffee, wait for people they were meeting, and start immersing themselves in thinking and ideas. 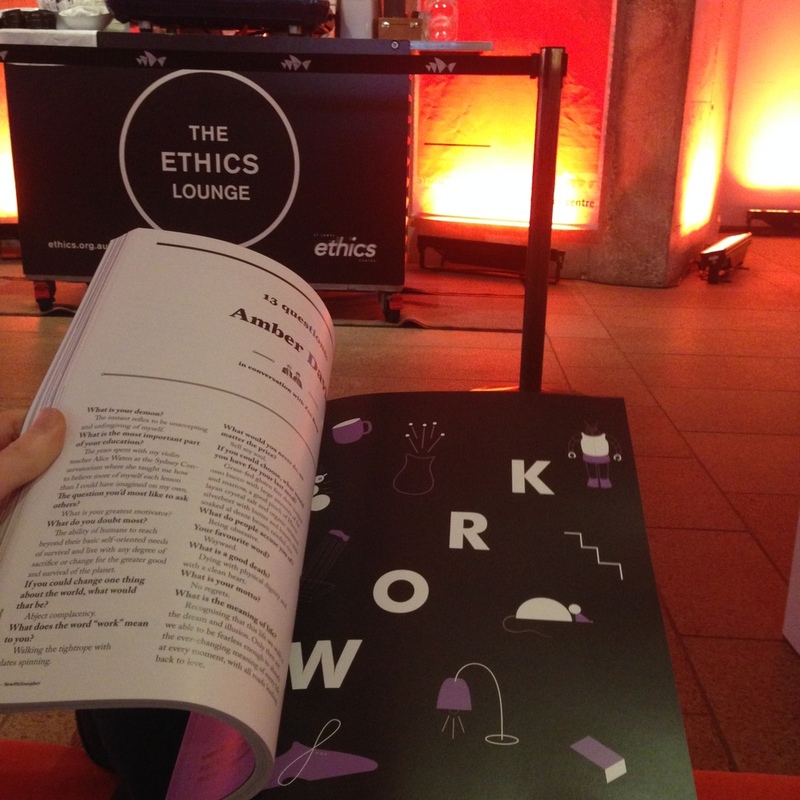 We came up with 'The Ethics Lounge' which would be a branded space hosted by the St James Ethics Centre, where we would provide festival-goers with complimentary coffees in exchange for their email subscription to the St James Ethics Centre. 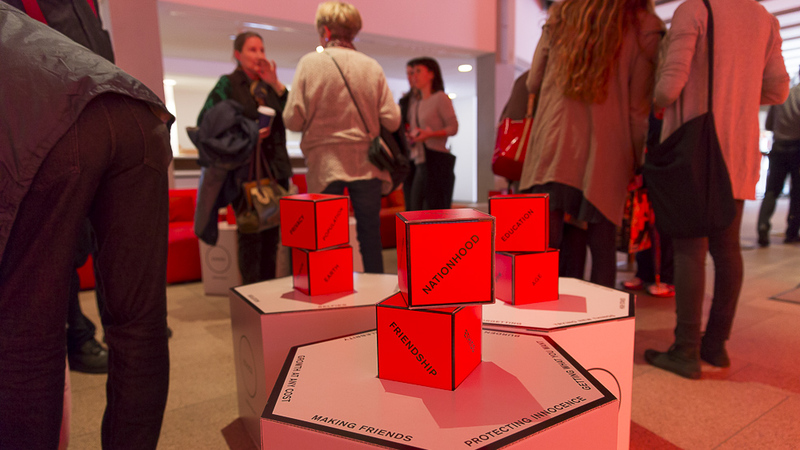 We got together with industrial designer with Glenn Stephenson to create a set of modular tables which let people interact with various questions and concepts relating to ethics. We also created a wall installation which added additional interest and cohesive branding to the space. 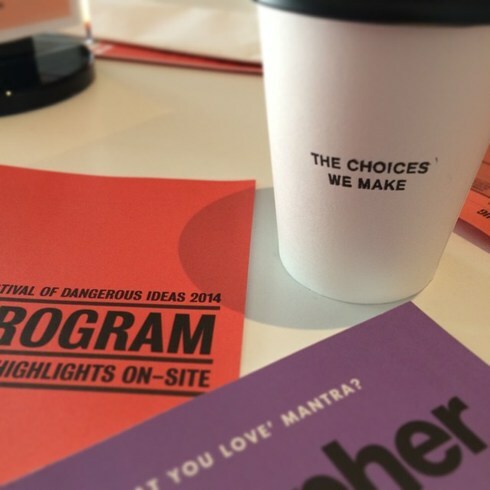 To read: copies of New Philosopher magazine and the Festival of Dangerous Ideas program. To drink: coffee from these custom made, thought-provoking and St James Ethics branded cups. 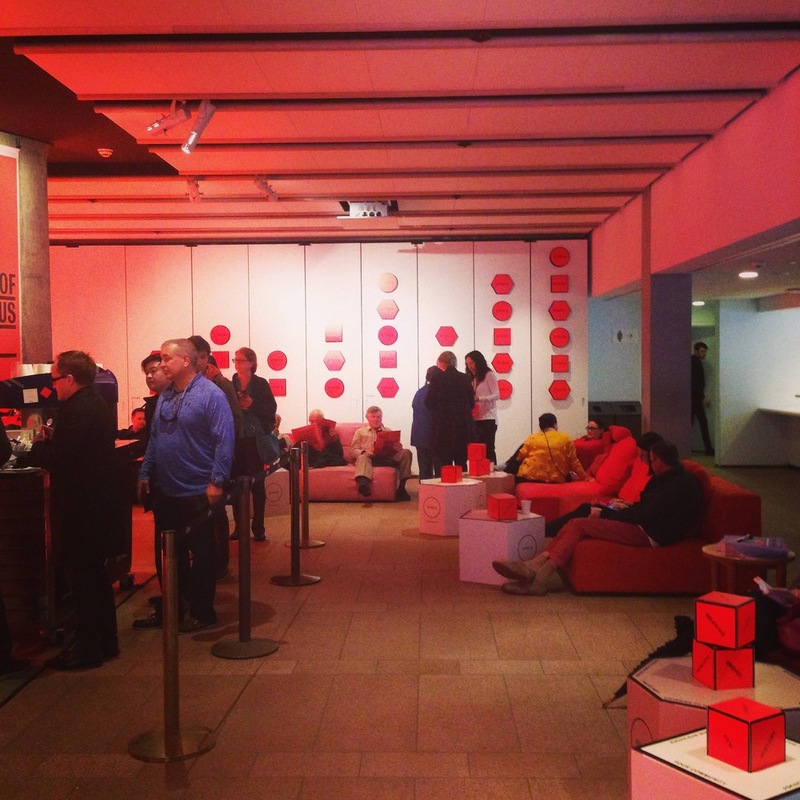 We also produced an animation that would show before each talk and throughout the foyer of the Opera House. Some shots of the animation in situ, and video below.